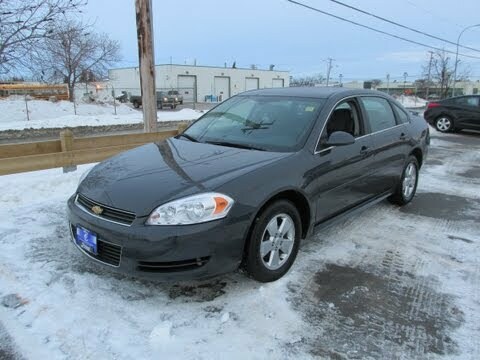 If you're in search of a big, roomy sedan that won't break the bank, the 2009 Chevrolet Impala will thoroughly meet your needs and probably exceed your expectations. Also, the SS model makes a good quasi-muscle car for those who require the all-weather advantages of front-wheel drive. Love how smooth my car rides and decent on gas considering the larger sized engine. Car does seem to burn through oil more than other cars I have owned but overall this car has been very good to me. Easy to fix smaller issues myself and parts are reasonably priced. Tires for this model are pretty expensive and the evap canister seems to go bad kind of quick but luckily it is an easy fix. Car gets about 25 mpg on highway and a little less when driving in town. I would highly recommend this make and model car, just be aware that certain aspects of maintaining vehicle can be pretty pricey. My car has great gas mileage. My impala has great gas mileage. It is very classy looking and very roomy. I love taking it for long trips because it's so roomy and just runs fantastic. I have had this car for over a year and have not had any problems with it. Besides needing tires and oil change. I know that in the future I will purchase another impala. I would love to have the Chevy impala ss. It is a fast and very sharp looking car. I also love the OnStar and the easy reach to my controls on my steering wheel. There's more better car than a Chevy impala. Very low-maintenance, the only true problem I have has with it is in regards to the locking mechanisms on the front passenger door�the lock does not move upon clicking the bottom either on the key fob or within the car itself, so I have to reach over manually to unlock it when someone is in the car with me. This is quite costly to fix. In terms of comfort, I love it. The seats are very comfy and the car is spacious (including for someone who is tall, like me). Of course, I like the auxiliary cord feature, as well!